Introducing the latest addition to the P&O Cruises family. 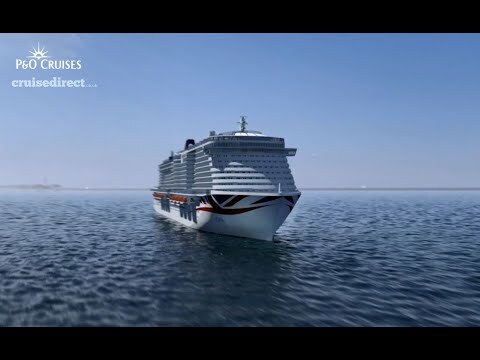 2020 will put P&O Cruises in the history books once again. Next year, will see the launch of Britain's biggest cruise ship. Iona will offer the next generation of guests the holiday of a lifetime and offer holidays they have never experienced before. At 180,000 tons Iona will offer more choice of accommodation, more places to dine in style, more spaces to relax, more entertainment and more freedom to make your holiday your own - wherever you are in the world. Itineraries for Iona’s first season of sailings in 2020 are available now! Choice, flexibility and the ability to create your own on-board experiences lie at the heart of P&O Cruises new ship, giving you the chance to rest and play your way. Their new ship has been designed by the world’s leading design and guest experience teams to make sure you have a wealth of dining, entertainment, socialising and relaxation options to make your holiday extra special. And rest assured, the P&O Cruises DNA will still shine through. You’ll be treated to the best British hospitality and standards of service that you know and love. P&O Cruises aim to bring the outside in with a half-mile long covered promenade. This Lanai Deck will have glass walls spanning three decks to allow natural light to flood the central atrium as well as alfresco dining venues and intimate hideaways. All accommodation will be designed by the contemporary design practice Acumen of London. A major new entertainment hub called The Dome will be one of the star attractions of P&O Cruises new ship. Featuring an impressive roof and a pool with a retractable stage the Dome offers a unique space whatever the weather. By day, The Dome is the perfect place for entertainment, relaxation and informal dining. By night, the Dome will come alive with aerial performances and immersive shows. The ship will offer new levels of entertainment, dining and relaxation, and features a host of innovative features and cutting-edge technology to wow you with new cruising experiences. The signature heart of the ship, the Atrium, will be P&O Cruises boldest and brightest yet. Glass walls spanning three decks will let natural light flood in while a grand staircase, gallery and overhead walkways will provide dramatic focal points. P&O Cruises have announced the next season of Iona sailings from Winter 2020. Her itineraries will cover Northern Baltic cities, Spain and Portugal and Spain, Portugal and the Canary Islands. Iona’s seven-night Northern European City Escapes take in a range of standout cities in Belgium, Germany and the Netherlands, with late calls and overnights that give you time to really explore and relax. Each port of call offers an alluring contrast of ancient and modern with striking architecture, fabulous foodie scenes and lively café cultures – all layered over a rich and dramatic history. Whatever you want from your city break, there’s something to capture every imagination, from dawn ‘til dusk and all night long. Studding the Spanish and Portuguese coastlines, Iona’s seven destinations are gateways to iconic sights and unforgettable experiences. Each has a unique cityscape, where past and present play out in a lively mix of architecture and anything-but-everyday life. Walk on golden sands, take a cultural journey through the ages, set your pulse racing in rolling countryside and listen to the heartfelt sounds of local musicians. From proud local traditions to gastronomic delights, we pick some of the best reasons to explore these incredible countries. Spain, Portugal and the Canary Islands are rightly famed for their abundant sunshine and sandy shores, but these dynamic destinations offer so much more than winter-sun or beach-based breaks. Leave the sun-lounger behind and treat your senses to a world of eye-opening culture, mouth-watering cuisine and hair-raising adventure with these local experiences. To find out more, call one of our cruise specialists on 0800 484 0370 or complete our short ENQUIRE form and we will get back to you asap.